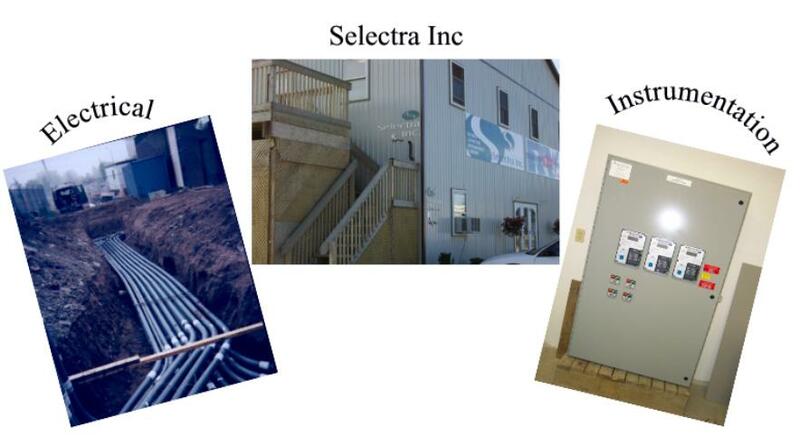 Selectra Inc. is an Electrical & Instrumentation Contractor specializing in Water and Wastewater Facilities. New construction and retro fitting of ; Wastewater and Water Treatment Plants, Pumping Stations, Landfill Gas and Leachate Collection Facilities, Co-Generation Facilities. From the most complex plants to simple stand alone pumping stations. Selectra has completed over 250 projects in the past 8 years. We have worked in most of the towns and cities in Ontario. For most of our jobs we work as a Sub-Contractor but have done a number of jobs as a General Contractor where Selectra is responsible for Bonding, Insurance, Coordination of Sub Contractor, and dealing directly with the Owner and Consultant. As a General contractor Selectra is responsible for the Civil, Mechanical, Mechanical, and Electrical including Instrumentation. Our two divisions work together to do the complete job. From the incoming electrical service to the complete SCADA and instrumentation and control package. For a more detailed view of what we do please visit the Electrical Division area or the Instrumentation Division area of our website.